Gauteng…Klix….Varese, Italian 18m./open Nationals…Polish SGP…The ALPS booming last Sunday !!! The comps finished and they squeezed out 4 day’s in 15 m and 5 in open class. Best distance on the last flying day; 281 km in open and 253 in 15 m.
Wayne Schmidt [ASW 27] won 3 from 4 day’s, so a deserved winner with 2.051 points. Good flying from Dolf Pretorius, [JS 1/21 m.] who won 2 day’s [task 3 and 5] but on task 4 he was OUT and Oscar was IN. Dolf finished on spot 4. 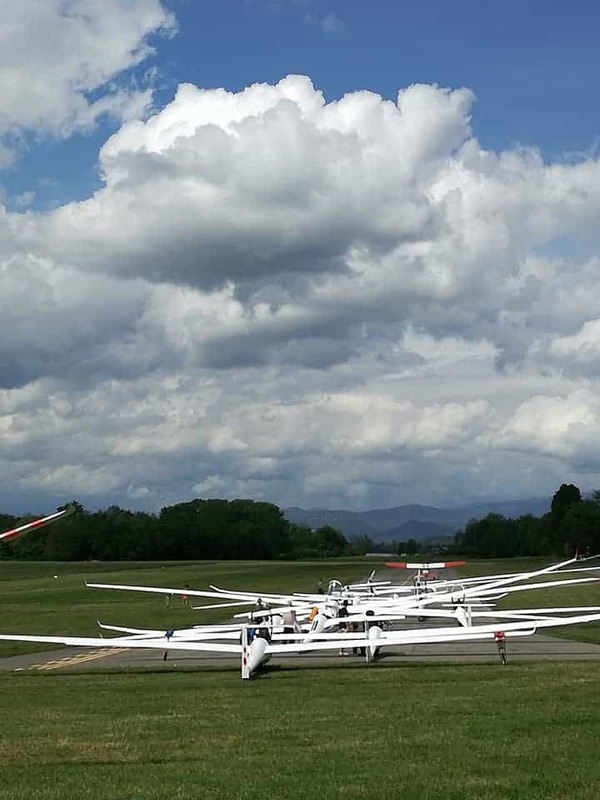 The 26th edition of this popular competition started on April 27 and they fly till Mai 5 in 4 classes; standard, 18 m., 2 seaters and club. In 18 m. 3 Dutch pilots in the top 5 after 2 day’s; Jeroen [Verkuijl 1] Hans [ Biesters 2]and Bas [ Seijffert4] A total of 28 in this class. In standard; Stephan Grunder ,yes from Holland on spot 1 after 2 day’s. 29 In this class. Club; 19 pilots in this class and after 2 day’s Jan [Rothard] in the LS 1-0,c,d on spot 1 and Sabrina Vogt in the St Libelle, as runner up. Task 3 was cancelled for all classes. Even the meteo-sniffer had to use his engine to stay up. Task 4 cancelled for 3 classes and Standard got a 3 hour AAT as task.The wind from 60 km./h was too strong for the tuggies so in the end ,all classes were cancelled. For task 5 it turned out ,a rather good day. B tasks for all and in the end some reached 1600 m .
A 2.30 AAT was set yesterday for Standard and Mogens Hoelgaard from Denmark won the daily prize in his Discus 2; 227 km. in time 2.41. Steven Raimond from Holland won in 18 m. class in his ASG 29. A 2.15 AAT with for him 255 km in time 2.21. In club the 1.30 AAT was flown best AGAIN by Jan and Sabrina starting, flying and finishing together in time 1.42/3 over 136 km . 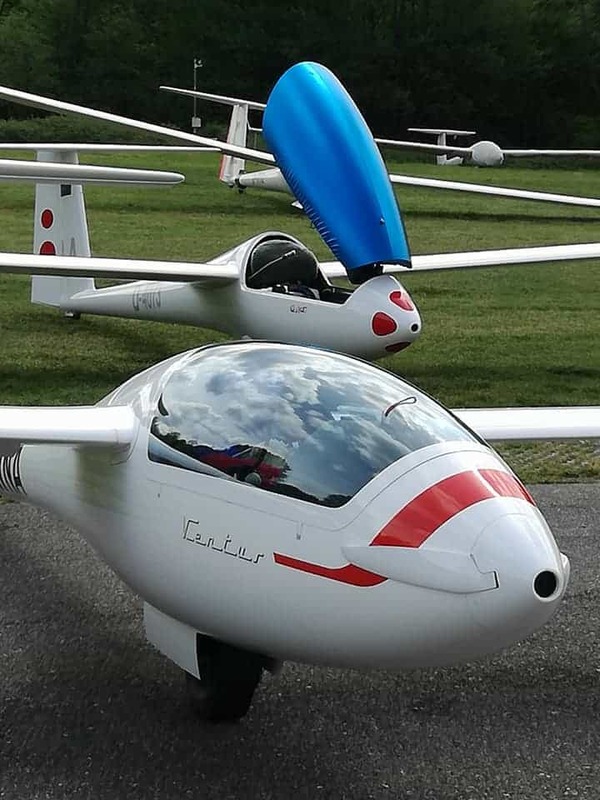 The “DoSi’s” doppelsitzer=2 seater, with a 2 hour AAT saw 2 ARCUS M gliders on top with 188 and 184 km. in time 1.58 and 1.56.Good to see Sigi Baumgartl still active, flying an ARCUS T LL and gaining a 5th place this day. As shared by the organizers. 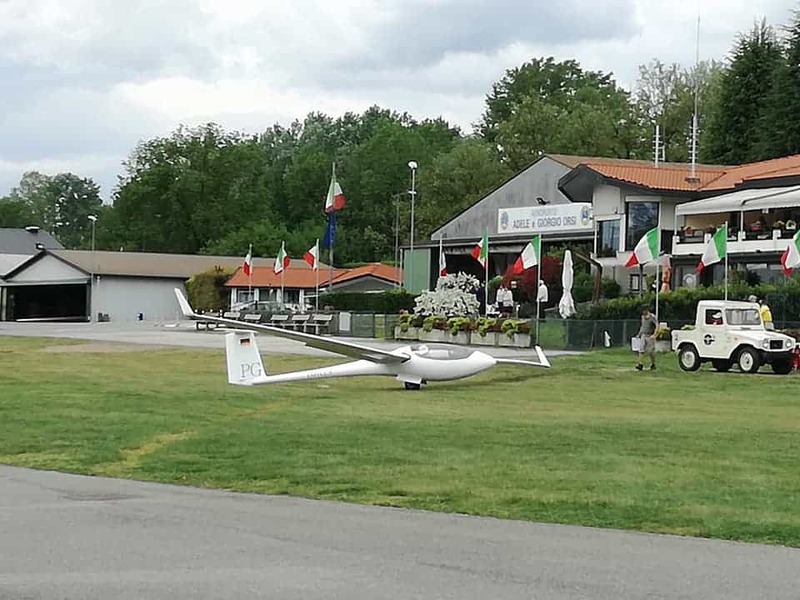 —-Varese; COPPA CITY DE VARESE and Nationals open and 18 m.
It’s cold and rainy in Europe at the moment …. NOT funny and comps suffer as much as people. So also in Varese where from Calcinate Del Pesce,[ Italy ] the Italian Nationals for 18 and open class will be flown between April 28 and Mai 6. On top of that they “fight” for in a combined class for the COPPA. Host is the Aero Club Adele Orsi Acao . The first flying day had a small task from 1.30 and only Peter Hartmann in the Antares 23 T managed to finish. Unfortunately for ZERO points as nobody passed the 100 km. line. Peter flew 150 km. in time 1.37!!! BUT,…an invalid day. On Monday they set a bit longer task  ; 2.30.And,..no worries for Peter he won again;with a speed of 129 km./h. he flew 332 km. Only one out-landing.16 Pilots in this combined-handicapped-class for the CUP. In 18 m. Sandro Montemaggi flew in 2.29 a distance of 295.65 km in his ASG 29 and was the daily winner. One out-landing and 10 pilots in this class. Open; Alberto [Sironi] flew 312,63 km. in time 2.36 in his Quintus M and had a speed of 120 km./h. One from 14 did not finish. 228 km. was set for ALL pilots and flying day 2 was a fact. The Coppa -pilots noticed that Peter had his 2d valid win. In open the daily prize was for team Luciano Avanzini in the ASG 32MI. Alberto was runner up. In 18 m. the daily prize was for Corrado Costa. Margherita Acquaderni in the 18 m. VENTUS 3 was runner up. The next 2 day’s do not look well so in the next blog hopefully the last 3 day’s. THEY were GOOD. Wave enough to please pilots and we are happy with their great flights. We could swim in streets as in one day/night we had as much rain as normal in the whole month of April!!!! But look at this ;1.531 km. from Haussen am Albis in Switzerland by top pilot Bert Schmelzer jr. in the Discus 2T/18m. He declared 1.250 flew it !!! and added some more kilometers!!! Brilliant!!! “What a day ” he wrote. Great wave so to see and a speed of 112 km./h. A total of 17 over 1000 km-flights .A Sunday, so a lot of pilots had fun and over 800 added their flight to the OLC. The first 50 flights were ALL over 500 km.!!! Indeed WHAT A DAY. Werner Amann flew in his ASG 29 from Hohenems Dornbir in Austria 1.372,6 km. with a speed of 131,6 km/h!!!! 2 Of those 1000 km. 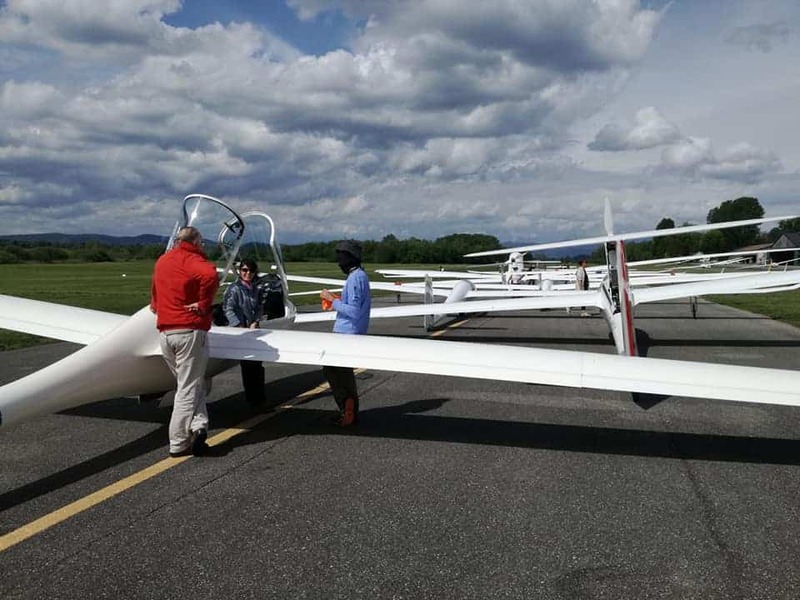 were 2 ridge-soaring-flights in the USA; one in a LAK 17B/21 m. and one in an ASG 29. Talking about Ridge Soaring. Last Monday was the day to do so as 6 pilots cruised over the mountains all with flights over 1000 km. It’s Mai and the conditions in several parts of Australia are still good ; Mart ,one of the hang-glider pilots who converted with us in the past to gliding, had a great day flying from Mc Caffery airfield in the East of Australia. In his LS 6 he flew 410 km [365 FAI triangle] with good conditions. Here is his OLC comment. 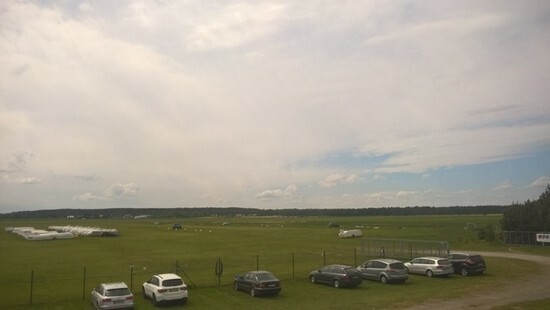 ——The Polish Sailplane Grand Prix at Kielce. is in full swing and started on April 27 with a practice day going to Mai 5. 10 Polish pilots and one from Lithuania . Race 1,2 and 3 have been flown and on each of those day’s Gintas Zube [Lithuania ASG 29] was the best, so 24 points for him. Race 4 , yesterday, was not for Gintas as he got some penalty seconds for starting above max speed 222 km/h. [ Penalty 260 sec] and starting above maximum start altitude 1811 m -[ Penalty 12 sec] BUT,…he still leads with 24 points followed by Lukasz Wojcik with 18 and Adam Czeladzki with 14 points. That’s it for today. Next week also more news from FatraGlide from Martin in Slovakia, they had already 4 flyable day’s!! !